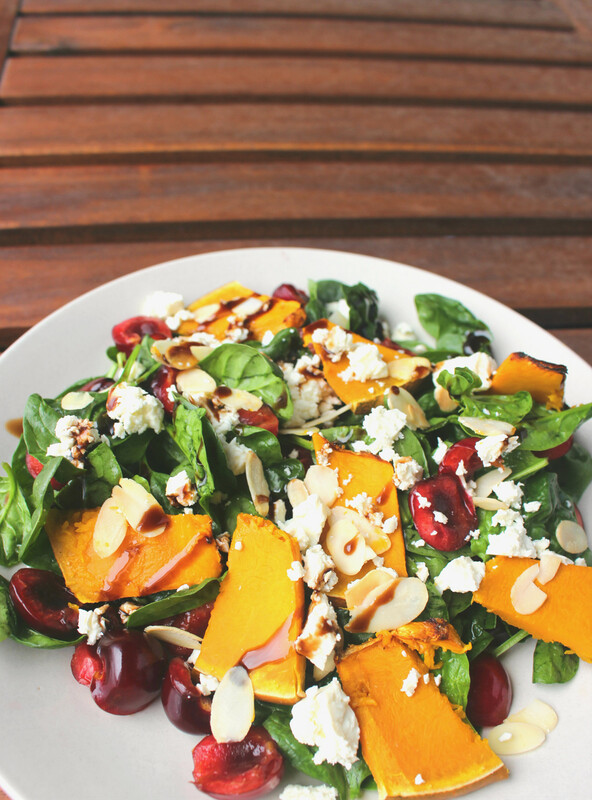 Place pumpkin on a baking tray and cook in the preheated oven (180) for 15 minutes or until cooked. 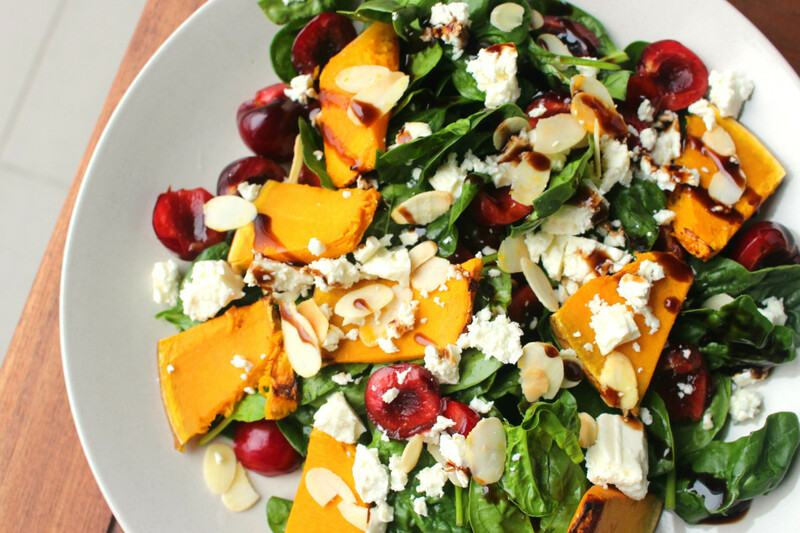 Combine spinach, pumpkin, cherries, crumbled feta in a large bowl. Dress with olive oil and season with salt and pepper. Transfer to a serving plate. Sprinkle toasted almonds and drizzle balsamic glaze before serve.